Copy and run the GROCERY data set from the yellow box below. DISCOUNT: Percentage of discount for each item. 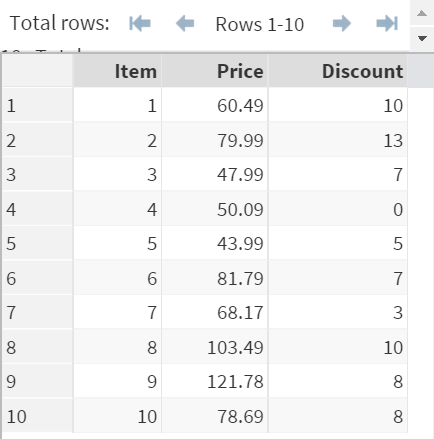 Write a SAS program to calculate the updated price based on the discount offered for each item. Round the updated price to 2 decimal places.